The All-New 2019 Chrysler Pacifica has received many awards including being named Highest in his segment of J.D Power IQs, the Best Family Minivan of 2017 by Parents and Edmunds, and is a 2019 IIHS Top Safety Pick. 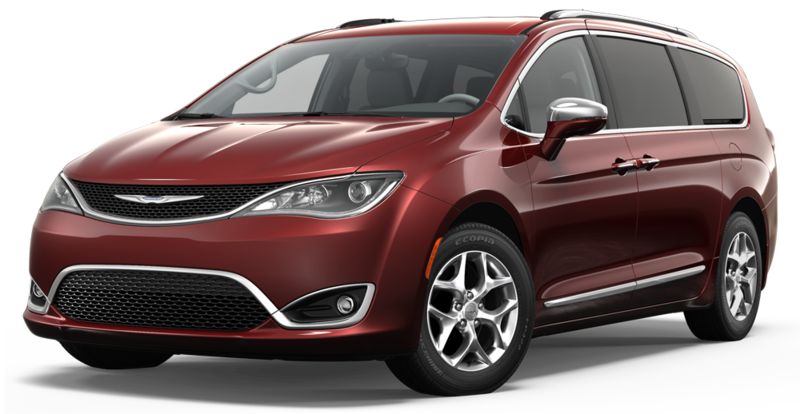 The Chrysler Pacifica Limited has an athletic stance and sculpted body. LED lighting, chrome accents and available 20-inch aluminum wheels offer enhanced style to the silhouette. The Pacifica was made with comfort in mind- from the available premium Nappa leather trim to seating for up to eight. Parents need a vehicle that can get them where they’re going no matter what. That’s why with the 3.6L Pentastar® V6 engine, the Chrysler Pacifica delivers 287 horsepower and 262 lb-ft of torque along with Best-in-Class towing capability. Take the kids wherever they need to go with the best in class highway MPG.